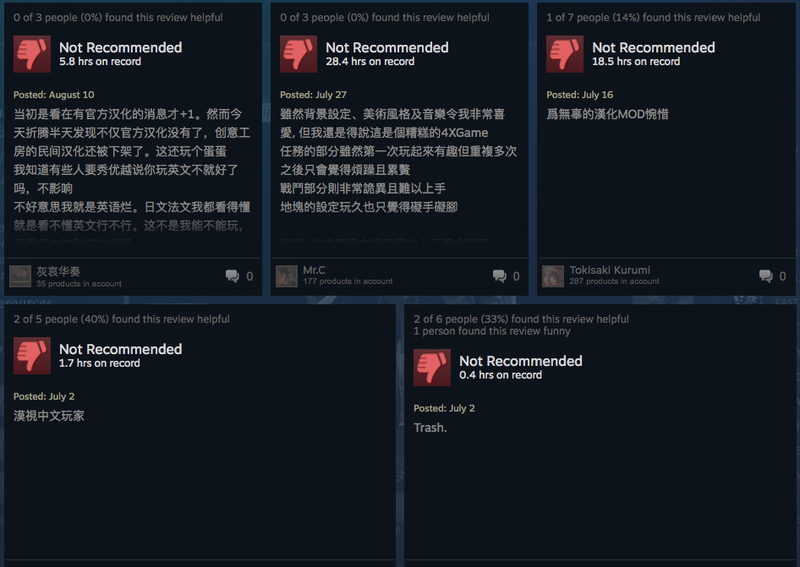 Since June, Chinese players have been bombarding strategy game Endless Legend with poor reviews after developer Amplitude Studios removed a mod for Chinese language support that linked to a pirated version of the game. Last night, other players took to Reddit and organised to vote the game's rating back up. 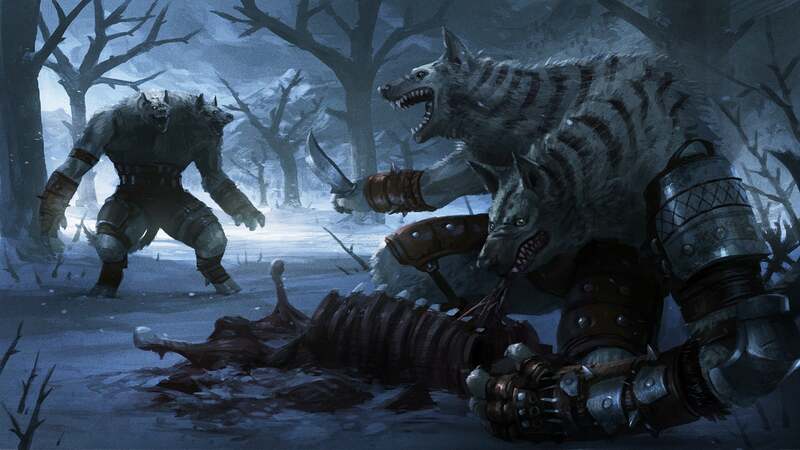 The mod in question was removed after it was discovered that the work contained a download link to an older version of the game. This was a violation of Steam's terms of service. The removal was intended to be temporary, according to a post by the developer. The mod never returned to the Steam Workshop. Lamenting the mod's loss and frustrated with a lack of officially supported language options, fans began to downvote the game en masse, lowering the game's rating to "mixed". "For us, that mod developer is a helpful and respectful man," one fan explained at the start of the controversy. "You didn't show any respects to him, which mean you didn't show any respects to us." "It hurts our hearts," another player added. Last night, reddit user _break_it_down_ highlighted the low rating. The thread was cross posted to /r/4xgaming, /r/Games and /r/China. Fans organised to upvote the game with positive reviews. In less than 24 hours, these fans managed to bring the rating up to "very positive". 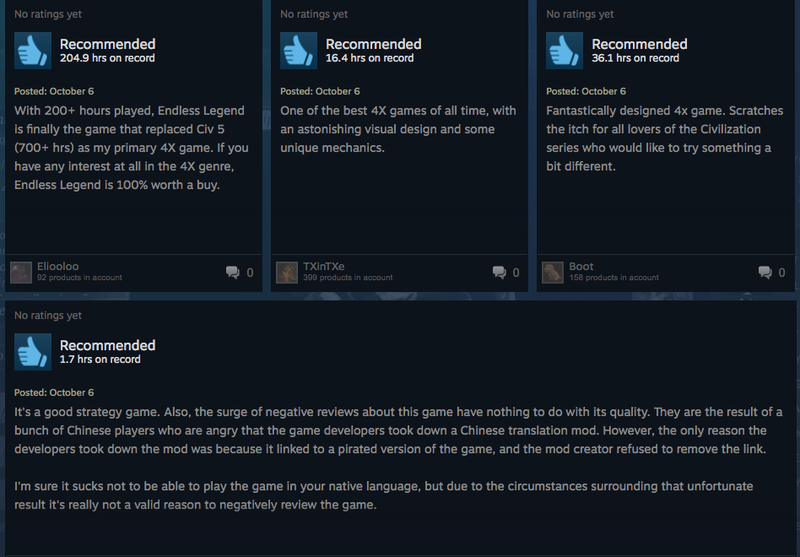 Steam recently overhauled how reviews function, angering some developers. Developers are highly reliant on reviews to aid with their positioning in the Steam store. This situation highlights just how much fans can impact a game positively and negatively. The visibility of these reviews has Amplitude Studios seeking a potential solution that will please their fans. They are looking into ways to offers a Chinese language option to fans. "We want to make the game available in Chinese," a Steam forum post states. "And [we] are ready to work with the mod's author for their work to be recognised." If they officially integrated Chinese language support before nuking the mod this would not have been an issue. Except the Chinese language mod didn't work with the latest version of the game, so the mod author linked to a pirate copy of the game rather than update the mod. The mod could only be used by people who legally own the game on Steam to begin with, the pirate link was simply to roll back the version since Steam doesn't support this. Having the link present obviously wasn't good, but the mod itself and the people using it were perfectly fine. So you're saying they should have left a link to pirate their game in there, while the development of integrating the language support is going on? Can you only access the mod if you've bought the game already? I've never actually used a mod on Steam. If you can literally only use the mod if you've purchased the game then it's a bit more of a grey area. Alright, definitely a grey area then. If you already own the game what does it matter if you pirate it? On one hand the mod dev is promoting piracy, but on the other hand he's only promoting it to those that have already bought the game. Dev of the game is morally justified whether they ban the mod or let it continue. However the fans who then down voted the game for banning the mod are out of line. Since the mod was not current with the current version of the game, the author had no intention of updating it, and Steam only ever installs the most recent version of the game, it was basically incompatible. If only for that reason, Valve was justified in pulling the mod. Encouraging piracy was undoubtedly just the cherry on top that moved the exclusion from likelihood to certainty. Not sure why you were downvoted so I've countered it. This is correct, only legal owners of the game on Steam could use the mod in the first place. The pirate link was only used to roll the game back to the necessary prior version, since Steam doesn't do version rollbacks natively.